(RxWiki News) Last year, the Food and Drug Administration (FDA) warned that Celexa may affect heart function. So, researchers wanted to know if this was true for other types of antidepressants. Looking at patient records, the study found that citalopram, escitalopram and amitriptyline were linked to subtle changes in the way the heart functions. The small changes were not life threatening but may raise the risk of more severe heart rhythm problems. The authors suggested that doctors and patients can use this information to make better choices about which antidepressant to use, especially for patients with heart conditions. "Ask a doctor which antidepressant is right for you." The study was led by Victor M. Castro of Partners HealthCare System in Boston and Roy H. Perlis, MD, of Massachusetts General Hospital. The researchers looked at patient records to see if abnormal QT interval was linked with antidepressant use. QT interval is a measure of how long it takes the heart to go through its normal contraction. Changes in the QT interval are linked to a higher risk of heart rhythm problems that can be fatal. 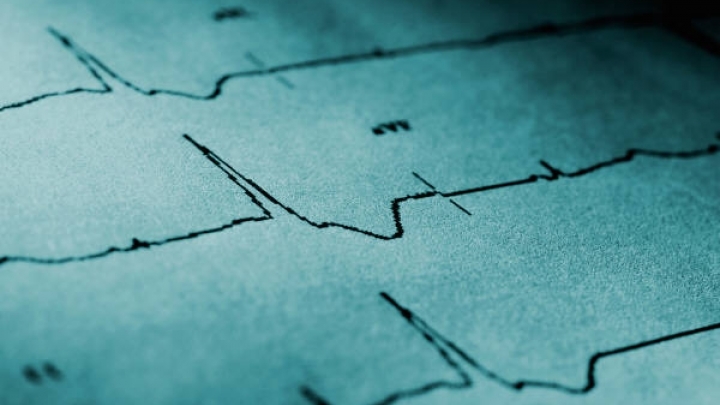 The researchers looked at the records of 38,397 patients who had an electrocardiogram at least 14 days after they began taking an antidepressant. An electrocardiogram measures heart function by looking at the time it takes for each section of the heart muscle to contract. People in the study were taking one of the following antidepressants: citalopram (Celexa), escitalopram (Lexapro), fluoxetine (Prozac), paroxetine (Paxil), sertraline (Zoloft), amitriptyline (Elavil), bupropion (Wellbutrin), duloxetine (Cymbalta), mirtazapine (Remeron), nortriptyline (marketed as Sensoval, Aventyl, and others), and venlafaxine (Effexor). For citalopram, escitalopram and amitriptyline, the QT interval got longer as doses of the drugs increased. Bupropion shortened the QT interval. None of the other antidepressants were associated with a change in the QT interval. A total of 467 patients had a heart function test after starting with one dose of their medicine and again after a change to a higher dose. Patients taking citalopram had an increase in their QT interval after increasing doses. The authors said that escitalopram and amitriptyline affected heart function in much the same way as citalopram. However, the authors also noted that the changes in heart function were small. These small changes did not show a link to actual heart rhythm problems but may put some people at higher risk of developing more severe heart rhythm problems. The authors suggested that doctors can use these results to help choose the best antidepressant for their patients based on other risk factors. If a patient already has a high risk of heart rhythm problems, antidepressants with less impact on QT interval may be best. The study looked at patient records, so it is possible that other patient factors influenced the results. Doctors' decisions to give a patient a certain drug may be related to heart conditions or risk factors that were not studied here. The FDA issued its warning for Celexa in March 2012. The warning stated that Celexa can affect the QT interval, especially in doses over 40 mg. The safety update also warned that Celexa should not be taken by people taking other medicines known to affect the QT interval or by people with heart conditions known to affect the QT interval. This study was published January 29 in the BMJ. The study was funded by the National Institutes of Health, the National Library of Medicine and the National Institute of Mental Health. Some of the authors reported affiliations with biotechnology and pharmaceutical companies.